The congress will be hosted by Prof. António Prieto Veloso at the Faculty of Human Kinetics, University of Lisbon, Portugal. 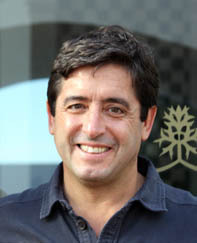 Prof. António Prieto Veloso, PhD is LBMF group coordinator and president of the Sports and Health Department of the Faculty of Human Kinetics at the University of Lisbon, Portugal. He also is a member of the board of directors of the International Society of Biomechanics in Sports (ISBS) since 2006 and vice president of the Portuguese Society of Biomechanics. His research interests are the development of experimental methodologies, modeling and simulation for the study of mechanical load on the musculoskeletal system, the implementation of methodology for morpho-functional evaluation in vivo in humans with use of imaging techniques and population-based epidemiological studies for evaluation of mechanical loads and the effects of exercise programs in conditions such as osteoarthritis, aging, pregnancy, as well as the effects of exposure to outdoor conditions of everyday life and occupational settings. We are very pleased that Prof. Morlock has again accepted to chair the art in science® scientific committee as in several ESM meetings before. 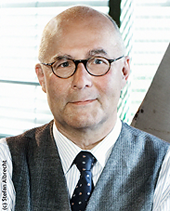 Prof. Morlock has outstanding, long-term experience in biomechanical research, especially in implant technology. His research is published in many peer reviewed scientific journals and congresses. Since 1996 Prof. Morlock is a guest editor of the Journal of Clinical Biomechanics. Also, Prof. Morlock hosted and organized several international congresses and participated as a member in many scientific committees.